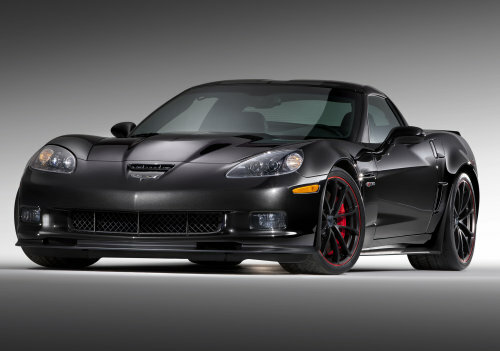 Each year after the victor of the Super Bowl is awarded the Vince Lombardi Trophy, the Most Valuable Player of the big game is chosen with the winner being awarded a new vehicle and at the end of Super Bowl 46 last night – New York Giants quarterback Eli Manning was awarded the MVP honors and the keys to a 2012 Chevrolet Corvette Grand Sport Convertible. Eli Manning was a major part of the New York Giants Super Bowl 46 21-17 win over the New England Patriots, completing 30 of his 40 passing attempts for 296 yards and one touchdown. More importantly, Manning made very few major mistakes throughout the game and unlike Patriots QB Tom Brady – Eli Manning did not throw any interceptions in one of the biggest games of his career. As the final whistle sounded and the Giants began their celebration, the podium was rolled out onto the field and with it; a 2012 Chevrolet Corvette Grand Sport Convertible clad in the special black-on-black-on-black Centennial Edition trim scheme was rolled out to the 20 yard line. After television personality and former ESPN anchorman Dan Patrick awarded the New York Giants with the Lombardi trophy for winning Super Bowl XLVI, Patrick drew attention to the gorgeous 2012 Corvette Grand Sport Convertible parked a short distance away, pointing it out to Manning as being his new car and congratulating the QB on his winning role in the Super Bowl. Manning, presumably (and understandably) excited about winning the second Super Bowl title of his career (Eli and the Giants beat the Patriots in Super Bowl 42 as well), thanked Dan Patrick and headed off of the podium – only to be called back so that he could take the keys to his new Corvette. Last night marked Eli Manning’s second win of both the Super Bowl and the Super Bowl MVP award – having also won the MVP honors in 2008 for his part in beating the then-undefeated New England Patriots. Manning took home a 2009 Cadillac Escalade Hybrid sport utility vehicle that year. In 2009, the Pittsburgh Steelers’ wide receiver Santonio Holmes also took home a loaded up Cadillac Escalade Hybrid for winning the MVP award as a part of Cadillac’s sponsorship of the Super Bowl that dated back to 2002. However, when Drew Brees of the New Orleans Saints won the MVP award in 2010, he did not get a shiny new Caddy as the company had ended their “free car” sponsorship the year before. However, GM got back on top of things for the 2011 Super Bowl, awarding Green Bay Packers QB Aaron Rodgers a new Camaro Convertible for his part in beating the Pittsburgh Steelers. Eli Manning showed a total lack of class, by virtually snubbing the gift of a Corvette. It's not just that he represents Toyota, rather it's another millionaire's total lack of regard for the little guy. In this case the hard workers in the troubled Detroit factories. What a jerk! Ron u r a squid!! u must be a Pats fan and your venting on Eli kicking azz again in the SuperBowl!! ELIte Manning is one of the classiest players in the NFL..u dork he didnt snub anything ..when your a good as Eli and when u already own a whip as nice as the corvette, Eli wont jump around like a little girl going to gymnastics or in your case winning a free tim hortons coffee!! thats right chevy take money out of my wallet an give it to someone rich.